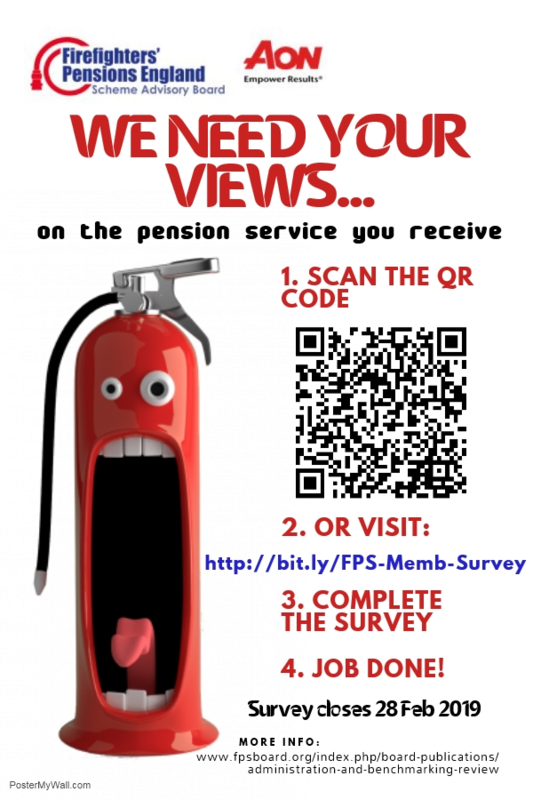 Welcome to the Firefighters’ Pension Schemes Regulations and Guidance website. The site has been developed to hold all resources relating to the administration of the Firefighters’ Pension Schemes and provide Fire & Rescue Authorities and administrators with tools and guidance to provide an efficient and effective service to their members. For more information about governance of the schemes and the work of the Scheme Advisory Board, please visit our dedicated Board website at www.fpsboard.org. Details of events relevant to the Firefighters’ Pension Schemes which are supported by the work of the Scheme Advisory Board can be found on the Events page. A calendar of forthcoming diary dates is also included in our monthly FPS bulletins from January 2018 onwards. On 28 February 2019, GAD published the final reports in relation to the 2016 valuation, including the scheme specific employer contribution rates that will apply for the implementation period April 2019 to March 2023. The full suite of reports can be accessed on the new dedicated valuation page of this site. On 30 January 2019, HM Treasury issued a written ministerial statement with regards to the effect of the recent judgments on the McCloud and Sargeant cases on the valuation. As a result of this announcement, the cost cap rectification process for the Firefighter Pension Scheme will be suspended, pending the outcome to the Government’s appeal. HM Treasury has also advised that the employer rate that Fire and Rescue Authorities pay towards firefighter pensions should be increased as of 1 April 2019. Following this announcement GAD are able to calculate the individual employer contribution rate for the four firefighter schemes which we will confirm these rates as soon as possible. There will be no changes to firefighter pension schemes member’s contribution rate or the accrual rate at this stage. There will also be no change to the member contribution banding rates, therefore administrators should continue to use the bands that came into effect April 2018. The Scheme Advisory Board in partnership with Aon has launched the member survey for the FPS benchmarking exercise with a deadline of 28 February 2019. More information about the project can be found here. We are interested to hear from all member stakeholders, whether they be active, deferred, pensioners or dependents. The survey can be completed at the following link http://bit.ly/FPS-Memb-Survey and should take around 5 minutes to complete. All responses are anonymous. The data will be collected by Aon to feed into a report to benchmark the standard of service across the Firefighters’ Pension Scheme in England. Further to the letter issued by the Home Office on 31 October regarding the review of scheme factors due to the change to the SCAPE discount rate, GAD has provided replacement factor tables to update the Added Years/Added Pension and CPD factors for the Firefighters’ Pension Scheme (England) with immediate effect. These factors replace those currently in use. CETV and certain other calculations should have been suspended on 31 October 2018. Such calculations can now recommence using the new factors, including on any stockpiled cases. For all other types of calculation, including early retirement, FRAs should follow the usual practice of changing their methods of calculation from the time when new factors are circulated. FPS Bulletin 15 - December 2018 has been published. The bulletin contains important information on the recent judgement by the Court of Appeal in the FPS 2015 transitional protections case, including a sample response to member enquiries. The issue contains updates on both the valuation and FPS benchmarking exercise, in addition to our usual features. Malcolm Eastwood, chair of the Scheme Advisory Board, has penned an end of year message to all, with a request for information to support the Board in presenting a case to the Home Office on how schemes might be better managed to give choice and flexibility to members in relation to pensions tax. Thank you for the support you have shown the team during the year. We look forward to working with you all in 2019. On 18 December 2018 the Home Office launched a consultation on changes to survivor benefits in the Firefighters’ Pension Scheme 1992 and the Firefighters’ Compensation Scheme 2006, plus a minor unrelated correction to the Firefighters’ Pension Scheme 1992. In the event of a member’s death, the firefighters’ pension schemes provide for the payment of certain benefits and awards to a member’s spouse or partner (‘survivors’ benefits’), but as regards qualification for benefit, there are different regulations according to which particular pension scheme the member belonged. A recent Supreme Court case relating to the entitlements of a pension scheme member’s partner has led the Government to give fresh consideration to this matter for all public service pension schemes, including those for firefighters. The consultation seeks the views of interested parties on draft legislation to enact these changes. The closing date is 29 January 2019. Further to the letter issued by the Home Office on 31 October regarding the review of scheme factors due to the change to the SCAPE discount rate, GAD has provided the following replacement factor tables for use with immediate effect. Early and Late retirement. Please note that there are different late retirement factors for mainstream pension and added pension. CETV and Pensioner Cash Equivalent (for divorce purposes). FPS Bulletin 14 - November 2018 has been published. This issue includes updates and reminders on a number of on-going projects, including the valuation and FPS benchmarking exercise. As well as our usual articles, you can also find out about new resources that have been added to this site. Following an extended period of stakeholder engagement, the administrator and employer surveys relating to the FPS benchmarking exercise have been issued for completion with a deadline of 31 December 2018. Aon have been commissioned to undertake the review by the Scheme Advisory Board (SAB), to help them establish a measure of the cost and effectiveness of administration within the schemes. More information about the project can be found here. FPS Bulletin 13 - October 2018 has been published, with important updates on the valuation and Budget 2018. The issue also contains information regarding TPR and TPO engagement, plus other informative articles and our regular features. We would draw particular attention to the letter regarding the review of scheme factors which has been issued by the Home Office on 31 October 2018. The factors are effective immediately. Note that as per paragraph 34 of the government response to the consultation on special members of FPS 2006, those commutation factors are fixed and will not be subject to future review. We were delighted to welcome over 150 delegates from the fire pensions community to 18 Smith Square for our annual conference held on 17 and 18 September 2018. Attendees heard from a wide variety of industry professionals and government representatives across the two days. A detailed summary of the event including the full presentations from both days can be found here. The Police and Firefighters’ Pension (Amendment) Regulation 2018 SI 2018/997 was laid on 13 September 2018. The government response to the consultation can be found here. A technical note has been published to confirm the details of the amendment order as it relates to the Firefighters Pension Scheme and any actions that should now be taken. Consolidated versions of all regulations amended by this order can be found here. On 6 September 2018, Her Majesty’s Treasury (HMT) published their draft Directions for the 2016 valuation for comment. The firefighters'scheme in England is likely to breach the cost cap floor (i.e. costs are likely to be more than 2% lower than the 16.8% of pensionable earnings cost cap set out in the 2015 firefighter scheme regulations). Under paragraph 3 of rule 150A of the scheme rules the Home Office must consult with the Scheme Advisory Board (SAB) on the action to be taken to bring the cost back within the target cost. If no agreement can be reached, the default mechanism is to amend the rate at which benefits accrue. The SAB is well placed to engage in this consultation. The Board's cost effectiveness committee constructed from stakeholders across the sector and supported by the Board's independent actuarial advisor will be meeting with Home Office and GAD to discuss the initial outcomes. For clarity the cost cap mechanism is a measure of costs for the reformed schemes only, i.e. the 2015 scheme. Therefore the steps taken to improve benefits will be for members in employment in the 2015 scheme between April 2019 and March 2023. It will not affect deferred or pensioner members, or protected members of the 1992 or 2006 schemes. There will be a significant increase in employer contribution rates from their current levels. This is mainly due to the proposed further reduction in the SCAPE discount rate, from 2.8% to 2.4%. This further reduction, if confirmed, is expected to apply from 1 April 2019. As yet we do not know what the ‘significant’ increase is set to be; we expect to be clearer on this in the coming weeks. This technical bulletin produced by GAD contains the links to all the relevant documents. Board consultations and responses will be published here once they are available, and monthly updates will be provided in the bulletins.